Acute neck pain can be a terrifying ordeal, since symptoms may begin abruptly and progress quickly to extreme levels of torment. 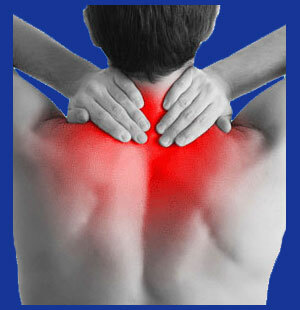 Acute pain might be linked to a known causation or may be an idiopathic occurrence. Acute pain can be a one time event or may become a recurrent scenario wherein the patient suffers repeated bouts of suffering, albeit making a full recovery in between each agonizing episode. Acute symptoms really capture the patient’s attention, since they are often debilitating and functionally impairing. Ironically, there is little that can be done to successfully treat the worst types of acute neck symptoms, so patients might be forced to ride out the process until the pain resolves naturally. The alternative is to subject oneself to potentially dangerous symptom-based care practices, such as powerful pain management drugs. This guide provides helpful tips which are designed to assist patients in dealing with acute pain in the neck. We will examine the causes of acute cervical symptomology, discuss the usual duration of pain and even provide some guidance on effective methods of home care. Acute pain most often comes from a known injury or perceived injury. A patient will do something to injure themselves, or perceive themselves as being injured, and pain will commence. In essence, the onset of symptoms can be traced to a definitive action or event, regardless of whether that circumstance was actually to blame for sourcing the pain or not. This type of patient profile describes the overwhelming majority of acute symptomatic complaints in the neck region. Other patients develop pain that comes on suddenly, but does not have any relationship to a known or suspected causation. Some of these patients have a history of recurrent acute pain in the neck, while others might suffer the expression for the first time. The least common form of symptomatic onset describes symptoms that begin gradually and escalate slowly over time to become full blown acute tortures. When it comes to acute pain, the majority of cases begin suddenly and reach maximum levels of intensity within 24 hours. The least common pain scenario describes symptoms that begin slowly and steadily progress over days or weeks. Acute pain rarely endures for an extended time frame. Statistics show that most acute neck symptoms will begin, escalate and then resolve to low levels of discomfort within 3 to 7 days time. Significant injuries and spinal degenerative processes might cause acute symptoms to endure much longer and these circumstances should be evaluated on a case-by-case basis for ascertaining the expected duration of symptoms. Once pain has lasted for more than 2-6 months, the terminology of the symptomatic complaint will often be changed to chronic neck pain, particularly when symptoms show no evidence of improving. Recurrent acute pain is not chronic pain and should not be confused for an ever-present symptomology. However, recurrent episodes of acute pain might eventually lead to chronic pain in affected areas. This is a situation I know well, since it perfectly describes my own symptoms during the transition from regular flare-ups of severe pain to my eventuality of chronic suffering. Acute pain causes patients to seek medical care far more often than chronic pain. The sudden onset of severe symptoms frightens patients and many think that they have suffered some terrible injury, since their misery is overpowering. Many patients go to their local hospital emergency room and wait for hours to be seen by a physician. Most will undergo routine testing to make sure that there is no life-threatening danger present and will be released without a diagnosis or a clue as to why they wasted 5 to 10 hours, on average, to endure such unsatisfying care. Most of these post-ER patients will follow up with their own doctor and will then receive a referral to an orthopedist, physical therapist or neurologist, depending on the particulars of their pain condition. The only emergency medical interventions typically performed for any type of acute pain usually include pharmaceutical injections or oral pain management drugs, given in copious supply. Neither modality will have much of a positive effect on the worst cases of acute pain, but will certainly subject the patient to substances that are poisonous to the anatomy. Ice the area for the first 24 hours, followed by heat thereafter. Massage can be started almost immediately and should be gentle and relaxing, rather than vigorous and painful. It is best to move the neck gingerly and not allow it to stiffen-up through complete immobilization. Keeping the neck completely still might extend the duration of pain significantly, while gentle motion will help metabolize waste products from the injury. Avoid pharmaceutical products, although OTC remedies are acceptable if used short-term. For more serious injuries, or for idiopathic acute neck pain events, it is best to see a doctor to have the condition evaluated before attempting any type of treatment. However, the above plan of action will serve most patients well, once they have been cleared of sustaining serious injury to the neck.